This product is expected to ship on Friday, April 26 if you place your order within the next 22 hours and 5 minutes. 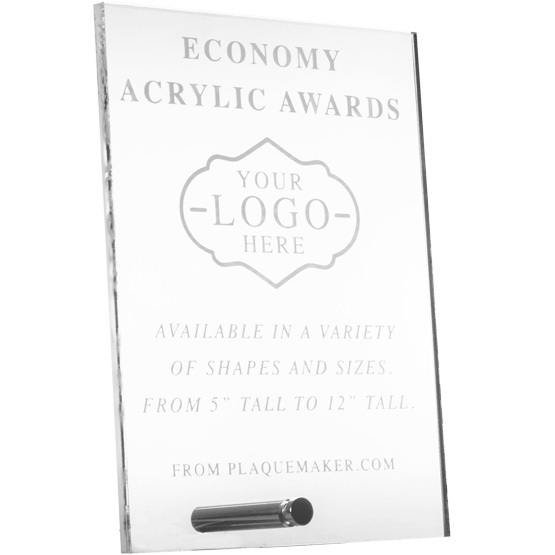 Create personalized economy acrylic awards at PlaqueMaker.com. We offer a variety of sizes and shapes and thicknesses to create the unique look you are going for. All awards are clear and come with a white frosted image, or you can add UV color printing to make your awards pop. These budget friendly awards are completely customizable with your text and artwork. Using our unique online design tools you can design your order yourself or you can upload your information for our graphic designers to create a no obligation proof for you to review. Shipping is free within the contiguous US. 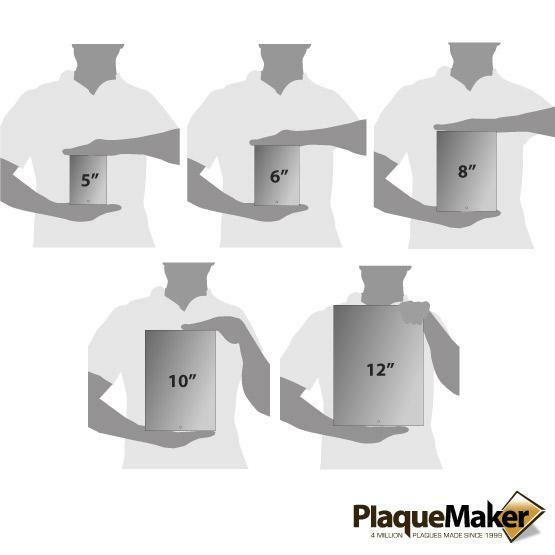 Thickness: 1/4", 3/8", or 1/2"
Product was delivered promptly and was exactly as described in product description as well as customized image rendering. Another year of excellent service by PlaqueMaker. My organization uses PM for our annual awards, and they provide quick, easy, and quality service. I entered information for the awards, provided a link to show last year's proof, and was sent a new proof for the current year. After approval, I received it in time for our annual awards. It was a fast and painless process. An item to note is that the price of the awards has increased, enough to affect our (limited) awards budget for the year. <br>Minor note: this year, I ordered from the site while in South Africa. I had to try several times for the order site to work; the system was slow and laggy, and it took a long time to input the awards purchase details and successfully submit the order. 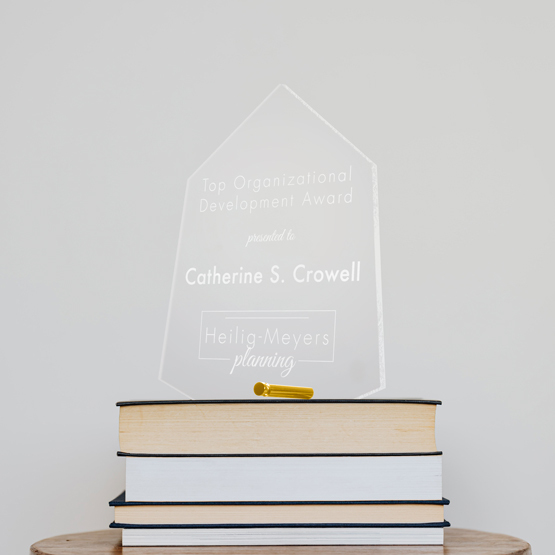 I needed a simple, clean, award at a reasonable price and this was perfect. Easy to order, great value and incredible speed. Thanks! They were very helpful in getting this to me in for the event. I would highly recommend them as their customer service is great, very patient and expertly done. Thank you! !